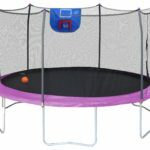 Trampolines are a great way to encourage an active lifestyle in your home. It’s fun. It’s bouncy. It’s cardio! 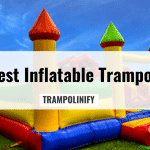 Tramps are perfect for those rambunctious toddlers and teens to burn some energy and get away from their tablets and television screens. If you don’t have a big back yard, no problem. 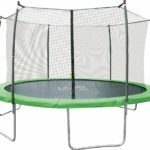 Trampolines come in all shapes and sizes so you can get your jump on right in your living room. 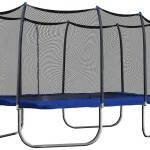 Smaller trampolines require minimal space and can collapse for efficient storage. Learn how to set up a trampoline and make your gym mobile! Setting up a trampoline isn’t hard at all. You don’t need a drill or even a hammer. Just reserve a small part of your day and you’ll be on your way to an afternoon delight. Assembly is easy and if you follow along, this guide will walk you through it. 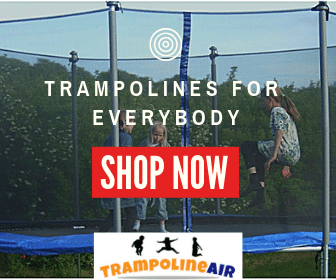 Especially if you purchased your trampoline online, you’ll probably be surprised when you receive a relatively small box filled with metallic bits. Don’t be alarmed! 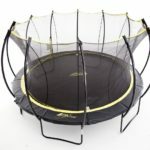 For most trampolines, you’ll have to put together the legs and all the springs, but companies have designed the assembly process to be as simple as possible. First thing’s first. 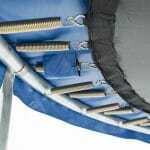 Trampoline assembly requires work with springs, which are frequently covered in a thin oil film to elongate product life. Because these slippery springs can pinch, it is recommended to protect your hands. 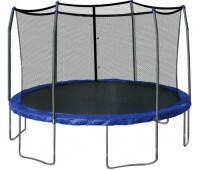 Grab a sturdy pair of gloves and if you have a larger trampoline, call your buddy for some help! Find the manual and check to make sure you have everything you need. Organize all parts into separate piles. You should have objects like springs, metal legs, and frame padding. If you’ve bought a model with an attachable enclosure, you should also see things like a net, foam sleeves, posts, screws, bolts and nuts. Start with the legs. The leg bars will most likely connect in a U shape so look for short bars with 90-degree angles bent into them. Once you’ve put the legs together, find the curved pieces that will make up the trampoline’s circular boundary. Snap the circular bits together until you’ve got a diameter of the appropriate size. Flip the frame so the leg holes face upwards. Insert the legs into the corresponding sockets. Repeat this step around the frame until no more legs or holes remain. The legs should secure easily into the appropriate spots on the frame. 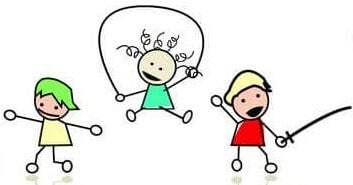 If this is not the case, try to avoid using sledgehammers as too much force may bend the metal and leave the trampoline wobbly. If you must use a hammer, be as gentle as possible and cover the leg with a barrier (like a folded towel) to soften the blow. You’ll need a partner for this next step! When the legs are settled, you and you’re partner should go to opposites ends of the frame. Now just flip the frame over so you’re frame stands, as the trampoline will stand. Don’t forget to lift with your legs! For this next section, you’ll need to locate the trampoline’s mat and grab all the springs. Got everything you need? Did you forget your gloves? Go get them! Now is when you’ll really need them! Take of the packaging and stretch out the jumping mat within the frame. Don’t confuse the jumping mat with the enclosure net. The mat is a thicker, more springy material while the enclosure has more of a mesh look. If you can easily see through what you’ve laid out, you’ve got the wrong piece. Collect some springs and position yourself on one side of the frame. Your partner should gather a few springs, and then position himself or herself across from you on the frame. Count the hooks on the jumping mat and frame to make sure you are exactly opposite each other. As you put one spring on your side, your partner should align a spring on his or her side. If the springs are placed on a single side first, stretching the mat into the proper alignment will be extremely difficult. To avoid this headache, take your time zigzagging across the frame. That way, you’ll do it once and you’ll do it right! Next, stroll over to your organized materials. Find the circular pieces that make up the spring covers. If you also have an enclosure as part of your set up, make sure to avoid the foam sleeves. These long cylindrical pieces are for later on in the process. Place the pads over the springs to provide safety while jumping. 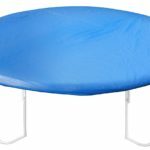 The covers will cushion your child’s fall should they slip. This feature also ensure jumpers don’t get their arms or legs pinched in the springs, so make sure every thing is lined up properly. Keep your gloves on to make sure you don’t get pinched either! Usually, these pads are attached via Velcro loops or some sort of metallic hook. Thoroughly check the pads to make sure you don’t miss a loop or hook. 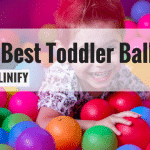 Otherwise, the protective cushions may get dislodged while bouncing. If it gets bumpy, you don’t want these pads slipping around! 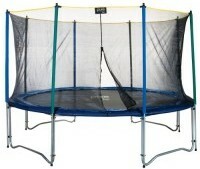 If you’ve opted for a trampoline with a safety enclosure, make sure the circular pads align with the post placements. Look for O-rings in the pads and make sure those line up over the hole in the frame’s top. Continue to secure the cushions as described above. Next, grab your safety net and attach the “bungee loops.” These rubber band-like loops will keep the net stationary while allowing it to absorb impact. If your posts came in multiple pieces, connect them and cover them with the foam sleeves. The sleeves may be smaller than the posts. This indicates you should use enough sleeves to cover the post. At this point, you will need to secure the posts’ joints with a screw or bolt. Grab your screwdriver and drive the screw in. Use nuts if appropriate. If your sleeves cover the drill wholes, simply push the sleeve aside momentarily. Allow it to fall back into place when you’re done. On the bungee loops, there should be hooks. For easy assembly, attach these hooks onto the holes at the top of the posts. Afterwards, lift the post up and place it in one of the O-rings. If you repeat this process of attaching the net before the post leaves the ground, you will be able to put up the safety net without the need of a stepladder. 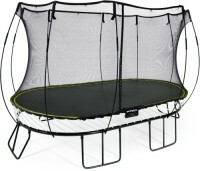 You’re now ready to test out your trampoline! Double check to make sure all posts, legs, and springs are secured. Check the pads as well. Now, climb up and give it a couple bounces before handing it over to your kids. If everything is operating at maximum efficiency, you’re ready to go. If you live in a windy place or just want that extra piece of mind, think about purchasing some anchors. These will keep the trampoline steady without taking away the fun. 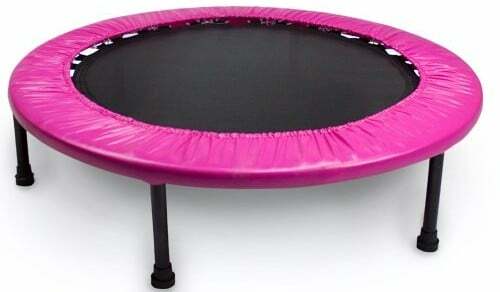 Now that you’ve learned how to set up a trampoline, don’t forget to register your product with the company. You get access easy part replacement and/or continued warranty. Happy jumping to you and yours!